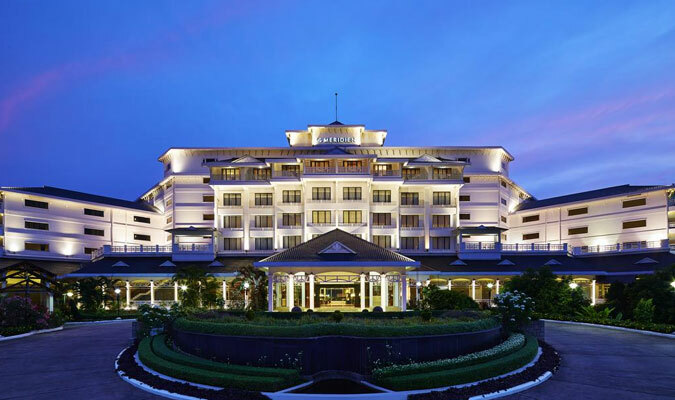 Le Meridien Cochin Resort & Convention Centre is a stay in a hotel that has become an epitome of warm hospitality and high quality accommodation serving the guests with best quality services. The deluxe five-star hotel offers all the modern facilities that make for a comfortable and luxury stay. Because of its convenient distance from the railway station and international airport, the corporate travelers and luxury tourists prefer this amazing tourist destination. With European architectural interiors, delightful amazing and exceptional dining, the tourists will discover the true meaning of beauty, with a stay in this hotel. 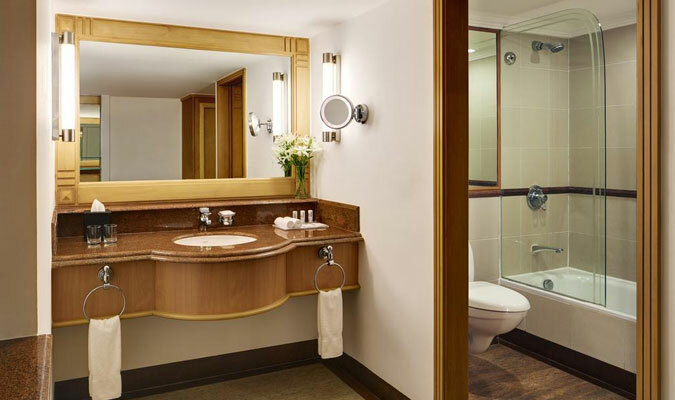 The 223 guest rooms and suites, in LeMeridien Cochin Resort & Convention Centre, is an epitome of modern style intermixed with contemporary living. With an array of facilities, cozy and comfy beds, well furnished interiors and state of the art décor, stay in any of these rooms is a source of ecstasy for all. 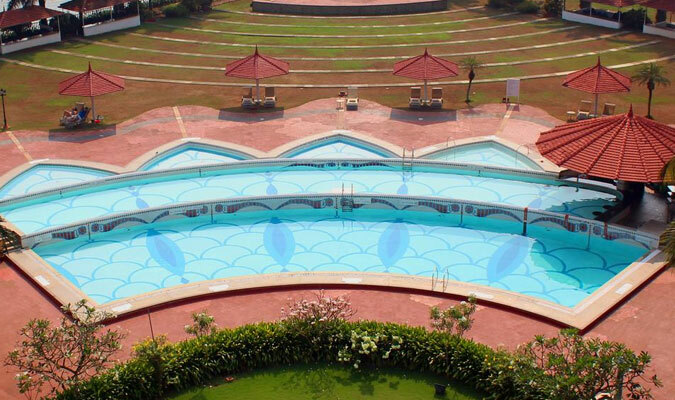 The amazing view outside with serene backwaters and delightful three-tier pool is simply genius! Deluxe Rooms: For a stay in a room that is flushed with unique sense of styling and stylish décor, Deluxe Rooms are the perfect options. 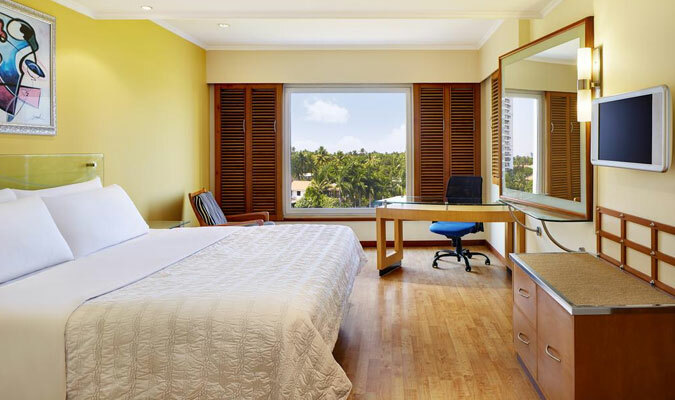 The rooms are extremely spacious, installed with all the modern amenities offering comfort like no other. Le Meridien Club Rooms: For a purely sophisticated stay in the hotel, Le Méridien Club Rooms are what you are looking for. The creative rooms also provide an access to Le Méridien Club Lounge, where the guests can avail the delicious continental breakfast along with complimentary drinks. Le Meridien Towers: For a stay in an area surrounded by amazing picturesque stations of Kerala backwaters all around you, the luxurious 72 suites in Le Méridien Towers are simply exciting. The Presidential Suite: For a secluded and romantic stay with your partner, The Presidential Suite with separate living room, dining area and spectacular interiors and decoration is the room to go for. 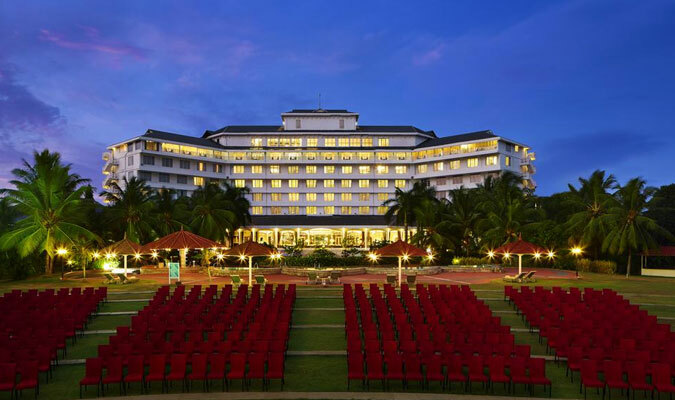 The guests can avail the exceptional dining experience in LeMeridien Cochin Resort & Convention Centre, along with enjoying in the energetic and lively surroundings. The guests can have fine dining experience in the specialty restaurants or they can simply relax and enjoy the food by ordering it in their homes. For a romantic time, candle lit dinner in the restaurant with a live saxophone in the background, can also be requested by the guests. Lagoon: For relishing on freshly caught seafood, cooked or grilled as per the whims and requests of the guests, Lagoon is the best restaurant in the Five-Star Hotel. Jules Bar: For ardent fan of sports, this bar, with large screen Television, showing all the popular sports, is simply brilliant. Have your drink, relax with your friends and watch the live game between your favorite football clubs. Awesome! Library Lounge: For a taste of amazing range of international cuisines, Library Lounge is the perfect choice. Treasure Trove: For savoring the wide range of mouthwatering multi-cuisine food, treasure Trove is simply wonderful.